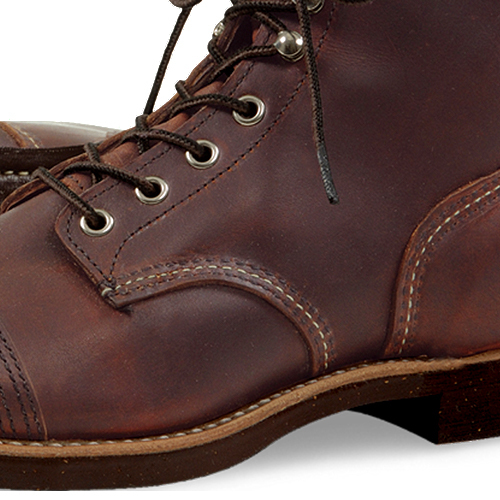 The IRON RANGER 8111, of the Red Wing Heritage line, is as tough as the iron miners that wore them. Classic 6″ styling with double layer leather toe cap, leather heel pocket and a Nitrile cork sole create this unique look. Featuring premium Amber Harness leather, chrome hardware, speed hooks, Goodyear welt construction and triple stitched quality. Made in the USA. The Mesabi Iron Range lies in northern Minnesota, a rugged and remote area. The local residents are proudly known as Iron Rangers, individuals with a sense of adventure and a determined personality. The work boots worn into the iron mines had to be as tough as the demanding conditions. The Iron Ranger boots were built with a double layer of leather over the toe to give the miners an extra measure of safety. 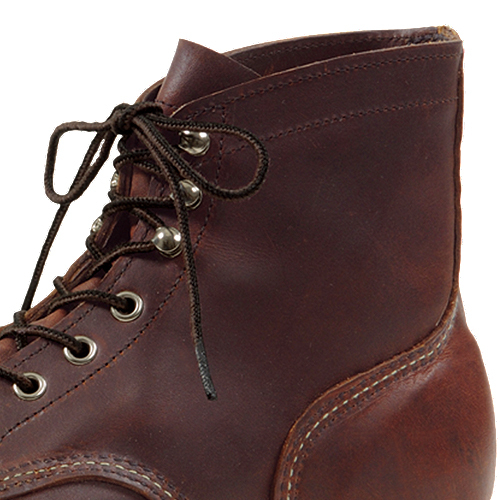 This capped-toe construction was widely used in work boots until the mid-1930s. 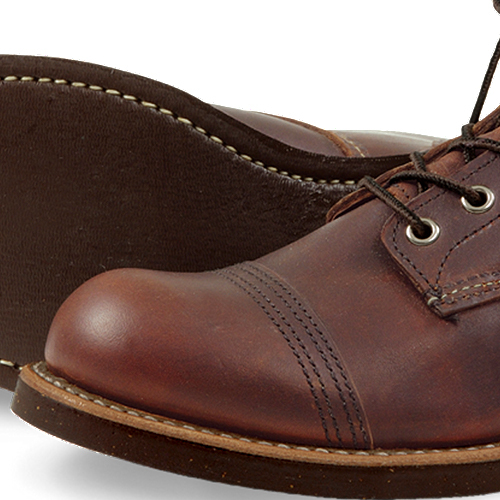 The heel pocket, a boot feature designed to offer extra support, was moved to the outside of the boot. This design change eliminated a seam, and provided a smooth and comfortable one-piece surface on the inside of the boot. Minnesota is North America’s largest producer of iron ore. The Iron Range is an area near Lake Superior and features most of the state’s ore deposits. It’s also the home of the Mesabi Range, which has been actively mined since the 19th century. Most of the iron ore is transported down the Great Lakes, to cities like Chicago, Cleveland and Pittsburgh where the country’s most important ironworks are located. This iron production created a cornerstone of industrial development in Minnesota and the entire country. History overview courtesy of Red Wing Shoe Company operated by the Sweasy family since 1914. Sugarcube® is an authorized Red Wing Shoes dealer.